Unlike the other Black Ops games, Declassified doesn’t have a Zombies mode. 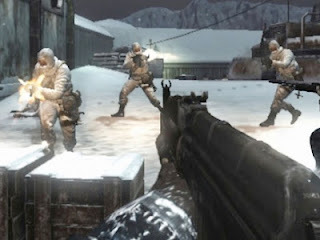 In replacement of Zombies Black Ops Declassified will have a mode titled "hostiles" your typical “survive as many waves as you can” affair, and a series of campaign-inspired time trials you try to run through as fast as you can while shooting wooden targets (think the training level of Call of Duty: Modern Warfare). Nihilistic thinks both modes serve as great training tools to teach people the ropes of CoD on Vita, though the time trials mode is the most popular internally since it has leader boards. Also thanks to Elron for the tip. Let us know your thoughts on lack of Zombies in the comments below!